Learn about easy method to draw a skull. 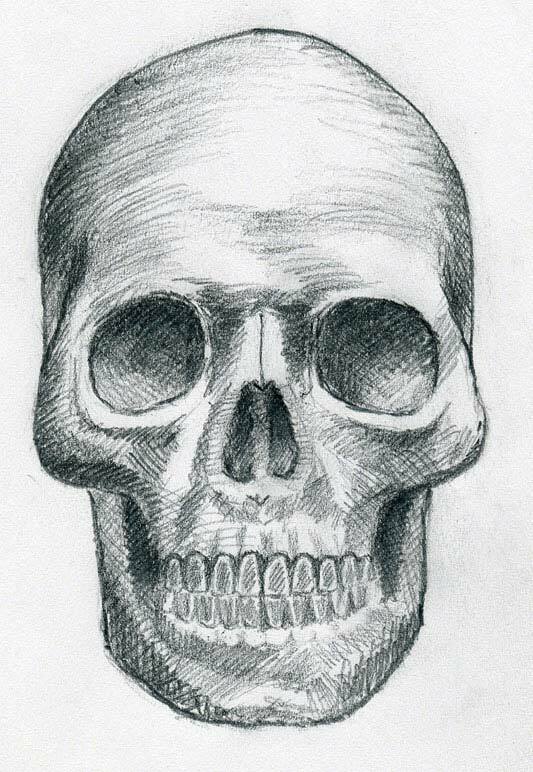 You will learn about how beginners can quickly draw a skull with pencil. When I used to be a little kid, I had this one and only thing in mind when it comes to my drawing class, that is, to draw a perfect looking, classy, old-fashioned, danger-sign showing skull. It was my childhood dream to draw a skull. I always wanted to have it in my sticker notebook. It is evident from my experience that making a scary skull is everyone’s childhood dream. So your childhood dream is now to become a reality. We are going to draw now, an amazing and perfect skull portrait step by step for beginners and kids. It is a painless and uncomplicated task for you and much more easily what you got in your mind about making a skull drawing in your very mind. So, take out your guns and start shooting the ducks. Just start by taking out your pencils and make your strokes to a perfect drawing. A skull is a sign of danger, but here we will consider it a sign of a new start for you guys. It will be a proud moment for us and to our students to accomplish a milestone by drawing such an amazing drawing just sitting in front of your desktops or laptops and mastering to such extent that now you are able to draw complicated drawings in such an easy way. Watch the startling video below and then replicate artist’s work on your paper. You would be able to draw on your own after few attempts, not on the first attempt I say so. You have to watch this video couple of times to get kicking in. If you watched this video once, watch it once again for better understanding. Meanwhile, we just have to think about some other idea and start making another video tutorial for you.